Antwerp is a pocket-sized city. Many of the attractions are within walking or biking distance of each other. Another way of getting around the city is on the trams and buses of De Lijn. 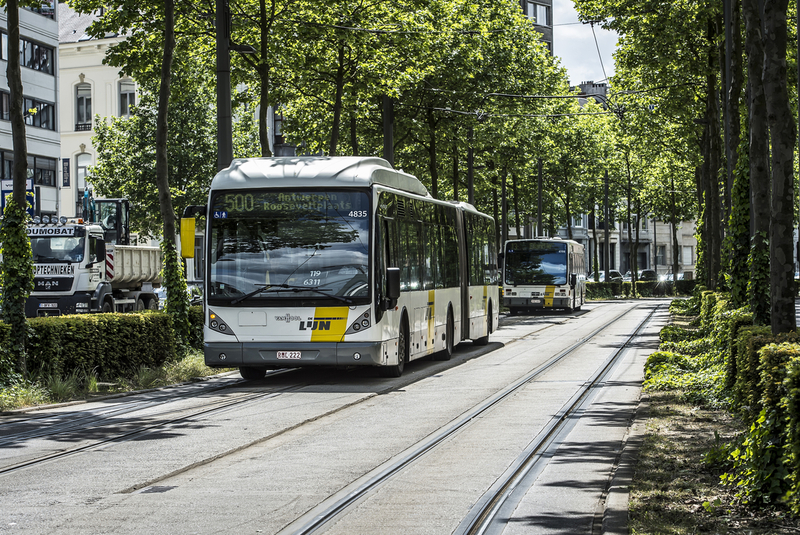 Tip: buy your tram or bus ticket in a point of pre-sale (newsagent’s, supermarket, the vending machines at the various stops or in the visitor centres of Visit Antwerp), where tickets are cheaper. You can also buy an Antwerp City Card, which includes the use of public transport in the city for the time your card is valid. Group ticket: 1,30 euro per person (+10 people). You can only buy an SMS ticket with a Belgian mobile phone plan. With an individual ticket you get to travel for 60 minutes in which you can switch unlimitedly between trams and busses. Staying on the same bus or tram and traveling longer than 60 minutes is no problem but if you transfer after that period you need to get a new ticket or send a new sms.